If you run your business like a family, you’re headed for disaster. The only thing that could possibly be worse would be to run your family like a business. Business values and family values are fundamentally opposite. You can’t have favorites in a healthy family. But unconditional acceptance and absolute equality have no place in a business. Healthy businesses are built on performance-based acceptance. And families are ruined by it. But in a business, such lofty statements are called misrepresentation and fraud. PS – The March 20-22 session of Wizard Academy is completely sold out and April is beginning to fill up as well. For an update, visit wizardacademy.org or call Corrine Taylor at (800) 425-4769. Outside the US, (512) 295-5700. 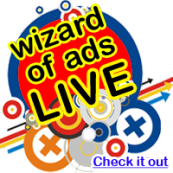 Why not forward this memo to a friend and suggest that they subscribe to the FREE Monday Morning Memo by the Wizard of Ads?